Another proud moment of jubilation in the history of Indian space technology has arrived when India has launched through PSLV C40 a total of 31 satellites into space simultaneously at 9.29 am (IST) on 12.01.2018 from Sriharikota, Andhra Pradesh, India. This has also marked the roll-out of 100thsatellite by the space agency, said gleefully Dr.A.S.Kiran Kumar, as the outgoing Chairman of ISRO. The distinct feature of the latest launch by India was marked by rendering commercial service to six countries of transporting into space several nano and micro satellites, along with the main Indian satellite Cartosat-2. Out of all 31 satellites, the main Indian satellite was the next version of cartosat-2 series, two were Indian smaller co-passenger satellites and 28 other non-indegenous (nano and micro) satellites belonged to six countries USA, UK, Canada, France, Finland and republic of Korea. The primary satellite of India, called Cartost-2 alone weighs 710 kgs while the total of the remaining co-passenger satellites is a mere 613 kgs because all the companion satellites, micro and nano, were of smaller size and of much less weight. Among the co-passenger satellites, India has included one micro satellite and one nano satellite and there were additional 3 micro and 25 nano non-indigenous satellites from six countries, totalling to 31 satellites in all. There is a commercial wing of ISRO (Indian Space Research Organisation) called Antrix Corporation Limited to deal with commercial settlements between international customers and the Department of Space, India. The name of the company “Antrix” is derived from the Sanskrit word “Anthariksh” which means “Celestial space”. 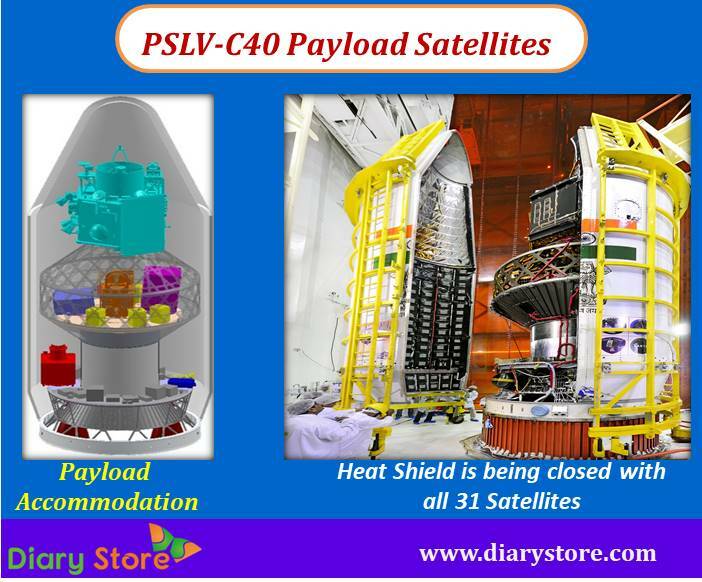 Thirty out of 31 satellites were made to remain space in sun synchronous orbit (SOS) at 505 kms for performing their entrusted duties, Cartosat-2 was injected in the orbit at height of 510 kms along with all the co passenger nano satellites. 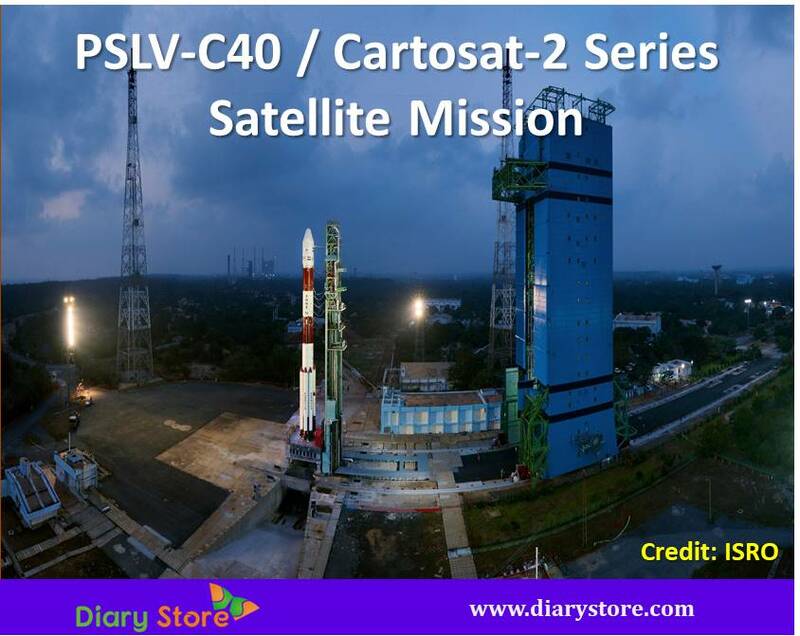 The main objective of the Cartosat-2 was to commence its operations to extend the data service provided by its six predecessors of the Cartosat series. 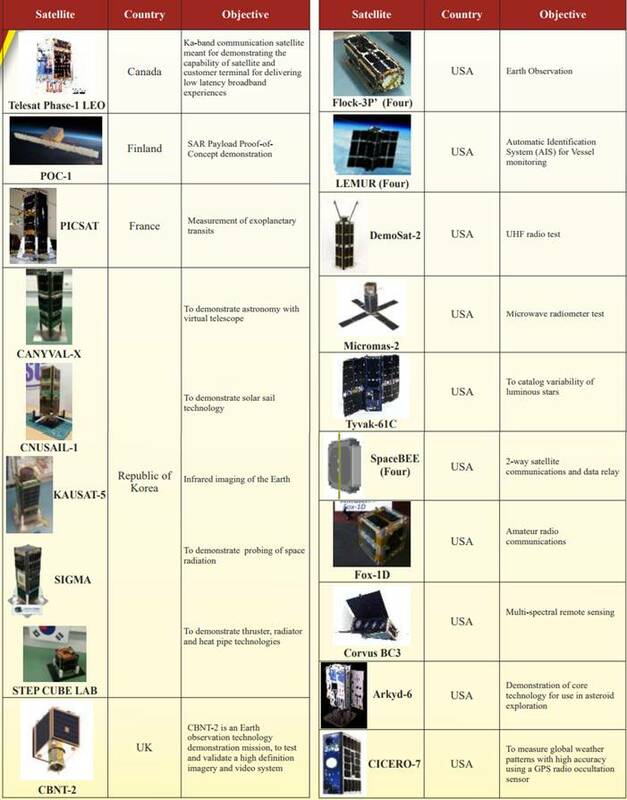 The other participating nations in the mission get benefitted through their own co-passenger payloads in several ways like communication, exo-planetary transits, astronomical research, infrared imaging space radiation, earth observation with high definition imagery, variability of luminous stars, data relay, amateur radio communications, multi-spectral remote sensing, asteroid exploration, global weather patterns with high accuracy using a GPS radio occultation sensor etc. India has reaffirmed a secured place for itself in an honourable category in international community of space scientists by rendering commercial astronomical services to different nations across the globe. It ceased to be a matter of surprise as India has been giving a reliable and dependable support for other countries in their individual space science endeavours. India has already gained adorable fame in launching Manglyaan to Mars in its very first attempt successfully. For full story, read our article on Mangalyaan - Mars Orbiter Mission (MOM). Much before the launch of Mangalyaan, India had triumphantly, sent into space Chandrayaan, which is the country's first ever unmanned satellite into the realm of moon. For comprehensive study, read the detailed post on Chandrayaan success.